A waterproof quilt which is also windproof and breathable seems like a big ask, but Musto has produced the Boxsted quilt new for AW13 which fits all those requirements – and more! What I like about this jacket is that it has a soft, matt finish, giving it a classier look compared to some of the more ‘shiny’ quilts which are on the market. This is complemented by a mock-suede inner collar and pocket detailing. To ensure you keep warm polyester wadding has been added; this works well with the ribbed inner cuffs which will stops cold air coming in, keeping you nice and warm. The Boxsted has already proved popular since its release for the new season and at Game Fairs. 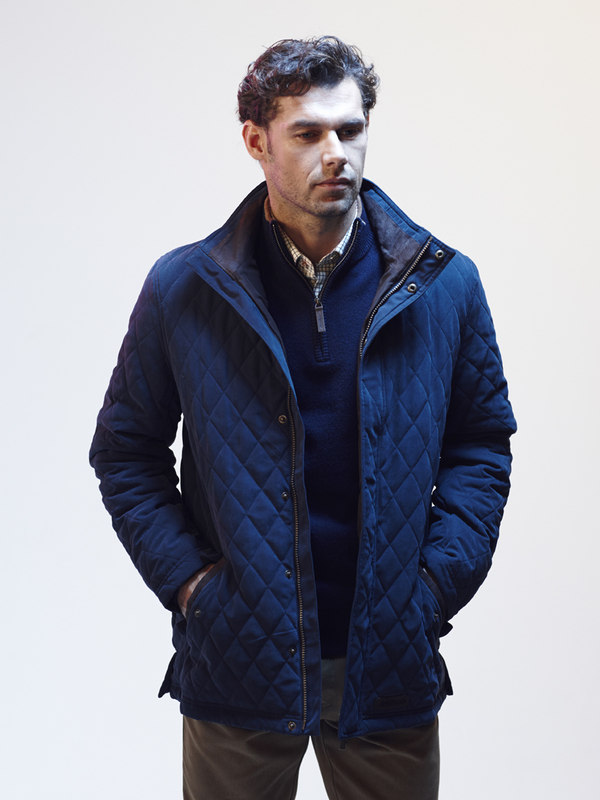 It comes in a choice of colours (Dark Moss or Navy) you are as likely to see this jacket worn around town as you are in the country, with its smart and versatile look. From the moment you try it on you know you will be kept warm, even on really cold days, and the soft peached polyester outer adds a really lovely finish. AW2013, breathable, Musto, Musto quilts, quilts, waterproof, waterproof quilt, windproof. Bookmark.